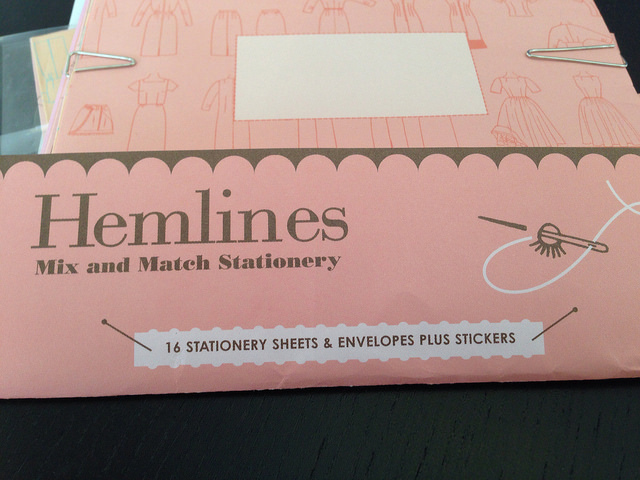 A few years ago I picked up this adorable stationery set. Little did I know that I would move across the country from my family and get really into sewing! 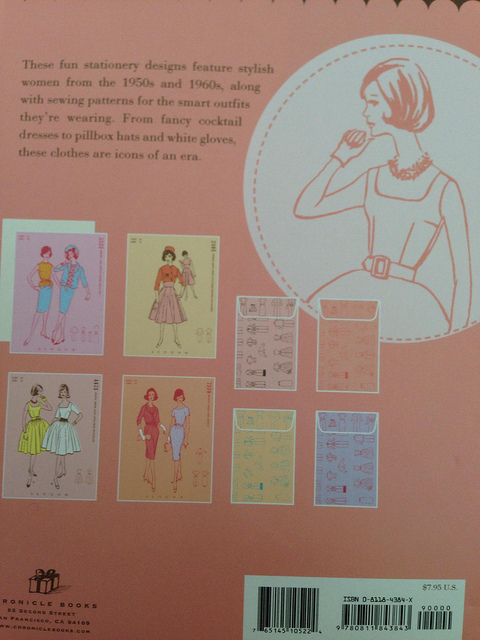 It’s called Hemlines and its made by Chronicle Books. The writing paper is printed on one side with a vintage pattern, and the other side is blank. I use the blank side to write on because the print side would be hard to read. 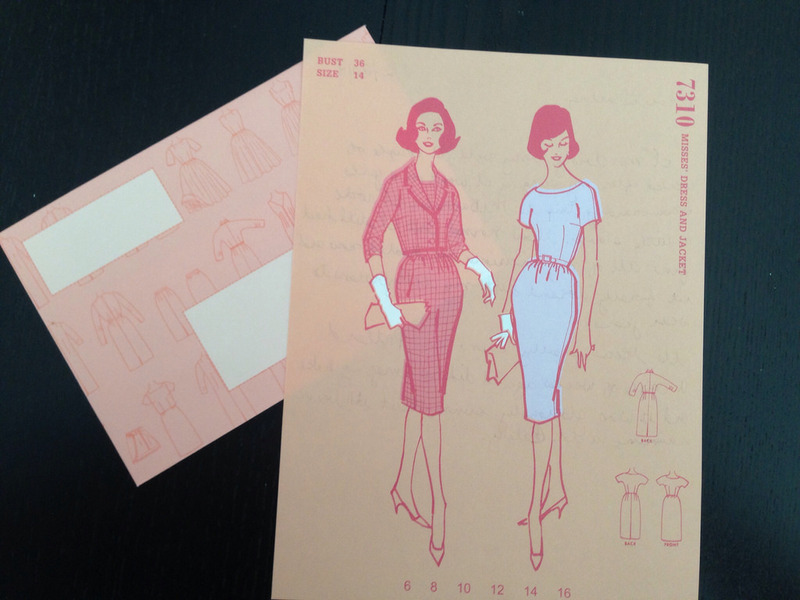 It also has coordinating envelopes and stickers! Here are all of the designs. They are actually quite cute. If I had the patterns I would make them. It seems like it might be out of print, but you may be able to locate it somewhere!